The Traveling Wall will be on display at Innovation Park from Oct. 5-8. Photo courtesy American Veterans Traveling Tribute. 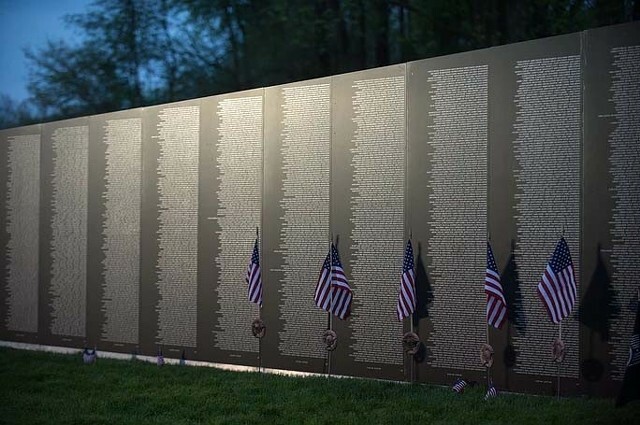 The traveling Vietnam Veterans Memorial Wall replica will be installed at Innovation Park at Penn State for four days, the culmination of an ongoing WPSU project about the war. The traveling wall will be open to the public from 3 p.m. on Thursday through 5 p.m. on Sunday on the lawn between 100 and 200 Innovation Boulevard. An 80 percent replica of the memorial wall in Washington, D.C., more than 58,000 names are memorialized on the wall. Robert Booz, of Centre Hall, is one of the people whose stories about the war have been shared through WPSU's project "The Vietnam War: Telling the Pennsylvania Story." An Air Force pilot, Booz delivered supplies and ammunition to ground troops and returned deceased service members." An opening ceremony at 5:30 p.m. on Thursday will recognize 50 Vietnam veterans and will include remarks from retired Navy SEAL and Penn State trustee Ryan McCombie and Penn State President Eric Barron. On Friday, area high schools have been invited to have students visit and hear stories from veterans, see a reenactment camp and trace a name on the wall. Essence of Joy choir will perform a tribute at 7:30 p.m.
Saturday's events will include music from the Bellefonte Community Band at 10 a.m., a multi-county Veterans Affairs ceremony at 11:30 a.m. and a screening of the WPSU documentary "A Time to Heal" at 7 p.m. Closing ceremonies will be held at 1 p.m. on Sunday. For a full schedule and details, visit the WPSU website. WPSU’s “The Vietnam War: Telling the Pennsylvania Story” has included the 60-minute documentary "A Time to Heal," which looks at the impact of the war on those who fought and their loved ones and those who protested. It also has featured the radio documentary "Time to Lay It Down," a digital Pennsylvania archive of user-submitted stories, photos and recordings, and the airing of the acclaimed 10-part Ken Burns documentary "The Vietnam War." 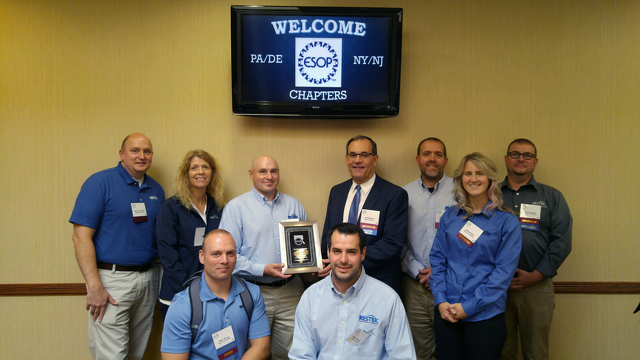 Bellefonte-based Restek recently was named Company of the Year by the ESOP Association's Pennsylvania/Delaware Chapter. ESOP, or employee stock ownership plan, is a corporate structure in which the employees of a company are also its owners. Restek transitioned to 100 percent employee ownership on Dec. 31, 2008.